The new Liberty head had long, separate locks blowing even more wildly than those on the Chain coins. The new reverse presented an elegant wreath of elongated leaves resembling laurel, the ancient symbol of victory. Just above the heavy bow appear three-part leaves or trefoils suggesting cotton or even maple leaves. Thrusting outward are hair-thin stems bearing three or four tiny round berries wholly unlike laurel. 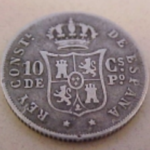 Later large cents all bear undeniably laurel wreaths with their large round berries, but no one knows for sure just what plant or plants Rittenhouse was depicting in 1793 on his obverses or reverses. It is possible that the aged scientist had a composite in mind for his elegant wreath, but the truth may never be known. 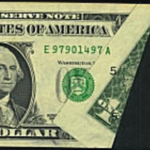 A small fraction 1/100 appears below the bow, a reminder to most Americans then living that the new nation’s coinage was decimal. Another reminder appeared on the edges of some varieties, the incuse message ONE HUNDRED FOR A DOLLAR, followed by either one or two leaves. A third edge type is the ornate Vine and Bars design, and the Sheldon 11 variety is known with all three edges! 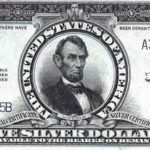 The great copper cataloguer Dr. William H. Sheldon divided the Flowing Hair Wreath cents into nine varieties that are within collectors’ reach and four varieties termed NC or “Non-Collectible”. NC varieties are scattered among all early cent dates and are the dream of many a sharp-eyed copper specialist. All varieties but one show a three-leaf laurel-like sprig of varied shape just above the date. The exception is NC-5, the “Strawberry leaf” rarity. On Sheldon varieties S-5, 6 and 7 this sprig is well designed and outspread; on S-8 and 9 it shows a stem following the curvature of the date with upright leaves. S-10 has an oddly stemless sprig with three skinny, angular leaves, and the three S-11 coins show a sprig “windblown” toward the right. Perhaps four or five low-grade examples of the ultra-rare “Strawberry Leaf” (NC-2 and NC-3) exist today. Discovered before 1869 by pioneer copper collector Richard Winsor, this rarity was first called the “Clover Leaf.” Here again, no one knows with absolute certainty what plant was intended by die sinker Eckfeldt or even why such a visible change was attempted. Philadelphia Mint records show that 63,353 Wreath cents were struck. Many were saved, probably as curiosities and also by British collectors. 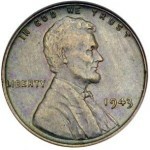 Possibly 6% or 7% of the mintage survives today, most in very low grades. As many as 40 pieces may exist in Extremely Fine-40 through Mint State-70. One actual MS-70 example of Sheldon 5 is recognized by the Early American Copper Society (EAC), originally in the William Cutler Atwater collection sold by the colorful B. Max Mehl in 1945. This coin is remarkably well centered and appears to have been struck on a polished planchet, possibly as a presentation piece, not unlike several other specimens from the collections of Dr. Sheldon and George Clapp. Although the points that will first show wear are Liberty’s hair at the forehead and left of her ear and the leaves of the wreath, surfaces and color are important in ascertaining higher grades. Many specialists adhere to standards agreed on by the EAC. Assembling a collection of all varieties other than the NC’s is a reasonable goal if the buyer does not insist on all mint state examples. 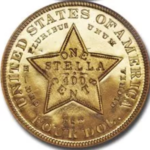 Collecting all varieties, including the NC’s is virtually impossible, though discovery of unknown specimens in the past has had a way of making rare, though collectible coins out of Non-Collectibles. More concentrated study has been lavished on early large cents than on any other U.S. series of any era. The body of specialized literature is immense, and specialty clubs exist to nurture such collecting. Because of the dedication of cataloguers such as Sylvester S. Crosby, J.N.T. Levick, Edouard Frossard, David Proskey and Francis Doughty in the 19th and early 20th centuries, and Dr. William H. Sheldon in recent times, the early large cents and particularly the 1793-94 issues are well charted. Today’s collector need not immerse himself in this field, however, to get a good overview of it and assemble a creditable collection.